Less than three months since the launch of an NGO Women of Value South Africa’s (WOVSA’s) Vision 2020 Co-Operatives Development Programme, countries like Kenya, Sierra Leone, Swaziland, Zambia, Zimbabwe and Botswana have already shown keen interest in the project—and partners and sponsors from across the country have pledged their support for this brave initiative. 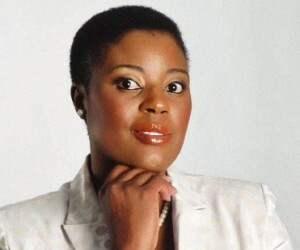 “It shows that people in South Africa and on the rest of the continent are realising the dire need to support the plight of women and the youth in Africa—it is opening the doors for transformation to happen quicker in the various co-operatives sectors we are working in,” says WOVSA CEO Dimakatso Malwela, who is also the Chairperson for the Women in Tourism Steering Committee for the SADC regions under the formation of RETOSA (Regional Tourism Organisation in Southern Africa). Malwela told BBQ in an exclusive interview that Women of Value SA has launched the Vision 2020 Co-operatives Development Programme, which is aligned to the NDP 2030 Agenda, the Gauteng Province Township Enterprise (TER) Strategy and the Transformation, Modernisation and Re-industrialisation programme, as part of its mission to announce this programme to the key role players who are going to form part of the programme. Vision 2020 was launched by the Deputy Minister of Tourism, Tokozile Xasa, during the Inaugural of International Women Cooperatives Indaba in Gauteng. As a champion of the programme, Xasa has committed to supporting the mission of the implementation of the programme. “The main objective of this programme is to transform co-operatives into sustainable business entities, poverty alleviation through job creation and to ensure that co-operatives participate in the mainstream economy of the country. The programme will focus on a number of sectors including agriculture, tourism (including business in tourism), energy (waste management), manufacturing and the textile industry. “Considering that the programme will run nationally, the targeted number of co-operatives will be 50 per province, 10 members per co-op and 500 members per province. The programme is estimated to create over 4 500 sustainable jobs nationally in the next three years and will transpire into TV documentaries. Gauteng and KZN will be launching their chapters in February and March 2017 and will be followed by other provinces,” says Malwela. Another impressive part of the initiative is that Vision 2020 is also aligned to the establishment of the Africa Women Co-operative Bank and Dimakatso Malwela says WOVSA is working very closely with the African Confederation of Co-operative Savings and Credit Associations (ACCOSCA) and with Savings and Credit Co-operative Organisations (SACCOs) on the African Continent in the establishment of the bank. Gauteng Infrastructure Development MEC Nandi Mayathula-Khoza said at the launch of WOVSA that whilst the Gauteng Provincial Government (GPG) is changing the dependency mind-set among the poor, it believes that poverty levels, especially among former combatants who helped to free South Africa, warrants a focused state intervention. “Economic opportunities were being opened by GPG’s growth strategy, the Transformation, Modernisation and Reindustrialisation (TMR). She however said Government had to intervene to assist the poor. “The doors of economic development are being opened. The Gauteng Provincial Government aims at ensuring that the economic landscape is changed to reflect the demographics of the country. All South Africans must be able to contribute to and benefit from the economy. Government must however ensure that military veterans who fought for this country are not trapped in poverty. It is sad that many of those who fought for this country have poverty written on their foreheads and this must change,” said Mayathula-Khoza. According to her, more also needed to be done with regard to gender equality in the economic development of the country. “More women must be involved in business. It is not correct that in this province there is only one black woman-owed company with the CIDB Grade 9 and thus only one black woman-owed company that can participate in major construction. It is through the advancement of women that we can be able to cascade economic development through society. We must remember that the empowerment of women could easily be transcended to youth empowerment. With over three million young people unemployed in South Africa, the situation is dire. Many of these young people are faced with economic hardships; and in desperation, many of them turn to drugs,” she said. Explaining more about the newly launched programme, Malwela proudly told BBQ that current partners and sponsors in Government include the likes of the Gauteng Department of Economic Development, the Gauteng Department of Social Development, the Department of Correctional Service, the National Department of Tourism and the Rand West Local Municipality. “Government agencies that we are working with include the Small Enterprise Finance Agency (SEFA), the Gauteng Tourism Authority, the Co-operatives Banks Development Agency (CBDA), the Gauteng Film Commission (GFC), the Gauteng Fashion Council, MICT Seta and the Gauteng Enterprise Propeller (GEP),” says Malwela.In the private sector Sun International, ABSA, GDS Technologies and Edcon have pledged their support for the programme. “I urge other big corporations to also join us in our efforts to transform the landscape in which women and children are still being left behind. It is not just Government’s responsibility and it is not just the responsibility of women’s organisations to help uplift those communities that have been left behind. It is up to all of us to partner and play a joint role in empowering women and youth nationally. WOVSA will play an advocacy role in bridging the gap between the community, government and the private sector on socio economic issues. We will facilitate, co-ordinate, monitor and evaluate all the programmes set to change lives, but we need as many as possible corporates to join our campaigns,” Malwela told BBQ magazine. Formation: This step will include awareness road shows, help with applications submissions, selection processes and contracts agreements. If businesses are not registered, the programme will facilitate with business registration. Profiling: This includes help with research, assessment, gap analysis and compiling a recommendation report. Incubator development: This will deal with the development of technical skills, business skills, mentorship and coaching and consortium formation and will include an exchange programme and an enterprise development programme. Business growth: Dealing with branding workshops, events and business forums, social networks and online platforms, supplier development and virtual services, this component will underpin the vision of the programme. Malwela says consortium benefits will include, and or lead to the enhancement of economic competitiveness, joint venture creation, promoting partnerships, skills transfer, learnership opportunities for youth, networking and an increased capacity. The conceptualised Co-ops Industrial Hub (incubator) will predominantly focus on skills development and transfer to equip women and youth to enter the manufacturing sector (sanitary pads, building material and chemicals), the tourism value chain, waste management, the textile industries, the energy field and the agro-processing landscape.Malwela, who believes that the Vision 2020 Co-Operatives Development Programme will fast-track gender parity and boost the South African economy, says it will also assist in poverty alleviation by creating more jobs. “More women will start sustainable business that will participate in mainstream economy. While interacting with different stakeholders, we have realised how much work needs to be done in terms of the development of women to get to know about opportunities that they can tap in if they are developed. 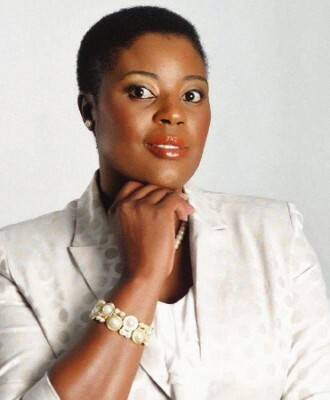 This can open more doors not only in businesses, but also within the professional space,” according to Malwela. She says the lack of skills and access to opportunities is hindering the growth and sustainability of women-owned businesses. On the other hand, she believes that women in government need to be involved in the programmes that will assist them to deal with challenges of growth, as mentorship and training play an important role in their development. These programmes should also focus on their personal development to deal with their mind-sets that will motivate them in setting the realistic goals for their lives. In conclusion, Malwela told BBQ that by improving the policy environment for women entrepreneurs will also help to make South Africa's women more inclusive in our economy. *Who can join the programme? have the ability to travel.